Walt Disney World designed their mass transit system to remove the stress of driving for their resort guests and improve road safety. However, like all manmade systems, this one faces its fair share of obstacles. By practicing these ten do’s and don’ts for using Disney’s transportation services, you can reduce the challenges you experience while traveling around the property. Creating transportation plans decreases your Disney travel headaches during peak seasons and maximizes your vacation time during off-seasons. Learning your resort’s transportation options and their schedules proves essential for effective planning. This information appears in your My Disney Experience account, so if you don’t have the mobile app, be sure to download it before you begin your vacation. If you need specific information or you just don’t like using apps, then speak with Guest Services at your resort for assistance. If having low expectations increases our satisfaction, then we should expect snail-like transportation at Walt Disney World. Actually, the system isn’t that slow, but the task of moving over 100,000 people a day around theme parks, resorts, waterparks, and Disney Springs certainly strains it. No matter what form of transportation you use to reach your Disney destination, assume that delays will occur and plan accordingly. Even though Disney works hard to improve their mass transit system, they can’t anticipate every possible difficulty. According to My Disney Experience, buses begin running 45 minutes before park openings, so why should you rush to the bus stop an hour beforehand? Simply put, the crowds often arrive early and overflow bus stops during peak season. Disney intends for buses to arrive every 20-25 minutes, but when throngs of people are waiting, boarding the first or even second bus becomes tricky. Some bus stops have monitors displaying expected arrival times, but at resorts with multiple stops, you may not even fit on the next one that stops. Waiting an hour or more before your desired arrival time will at least place you favorably in the line. Disney’s bus system is pretty reliable, but if your resort provides boat or monorail alternatives, then consider using them. Typically, water transportation offers shorter wait times with only a handful of stops. You can find boat launches at resorts located on Seven Seas Lagoon, near Disney Springs, and between Epcot and Hollywood Studios. The monorail also offers a convenient way to travel to Magic Kingdom or Epcot if you’re staying at a Magic Kingdom resort or park-hopping between these sites. The largest group of visitors stay at value and moderate resort hotels, where the heavily used bus system remains the primary or only option. For our Disney enjoyment, we make advance reservations for restaurant tables, character meals, FastPass+ selections, special tours, and more. Arriving on time requires even earlier travel than usual during crowded days. To make a breakfast appointment, check with Guest Services about shuttle buses, since some reservations may be as early as 7:00 a.m., which is much earlier than park opening hours. Also, bus transportation between resorts doesn’t exist, and water and monorail options are limited, so booking reservations at a different resort requires careful route considerations that may include making transfers. Reservations at resorts other than yours works better later in the day, when you can simply travel directly from theme parks, water parks, or Disney Springs to your destination. If you feel overwhelmed about getting to an appointment using Disney transportation, simply speak with Guest Services for assistance. Obviously, if you’ve paid hundreds of dollars for a tour, you’ll probably want to be punctual to avoid missing your start time. You can revise some appointments through My Disney Experience, but many can’t be changed in the face of last minute transportation delays. If making the reservation is essential to your vacation happiness, then avoid using Disney transportation entirely. Drive your vehicle, if you brought it; Disney resort guests receive free parking at all theme parks, and they’ll make special arrangements for you to park at other resorts when you have reservations. Guests without an automobile may use taxis or ride-sharing apps to be punctual. While we don’t recommend a particular one, a Walt Disney World transportation app may help you to keep your travel arrangements straight and inform you of choices you haven’t considered. 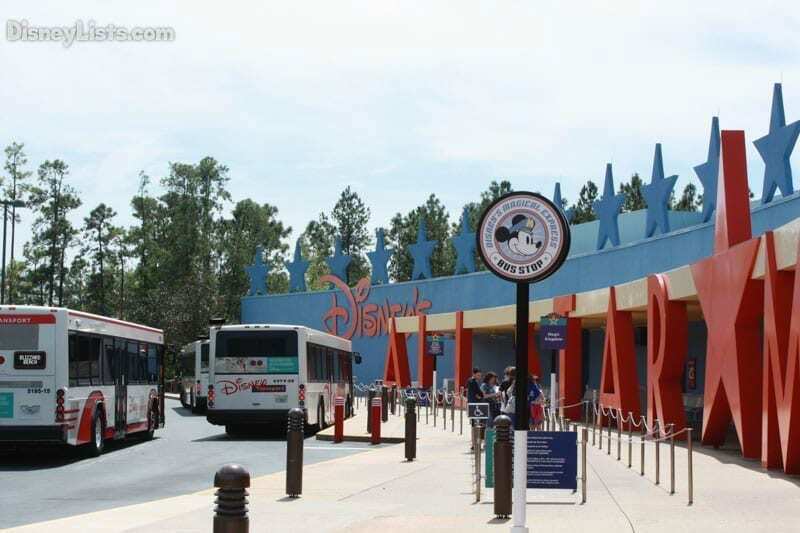 For example, most people park-hopping from Epcot to Hollywood Studios may simply take the bus. However, if you’re wandering around the World Showcase, then your app will advise you to catch a boat to Hollywood Studios at the International Gateway. Not only will the trip be shorter, but you’ll also cut down on unnecessary walking and waiting. Remember that not all apps are created equal, so look at reviews before using them and check to ensure that they are updated frequently. 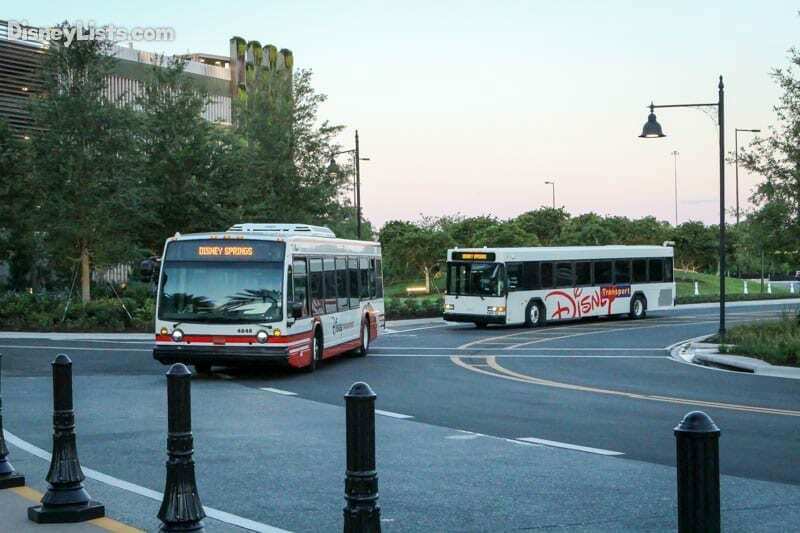 In order to prevent guest from trying to bypass parking fees at the parks by parking at Disney Springs and then busing over, there are no buses that have a route directly from Disney Springs to the theme parks. To get to and from either location, you have to take a bus to a resort first. In order to be efficient and you are trying to get between these two places, it is typically best to pick a resort that is close to either location. This will keep you in a more direct route that doesn’t take you way off from where you are trying to end up. However, guests are now able to travel directly FROM the theme parks to Disney Springs, but only after 4 pm. 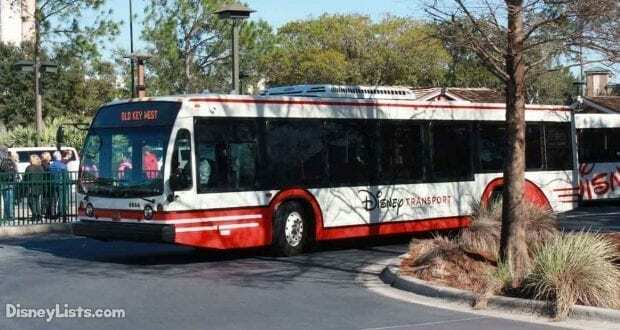 Please note, even after 4 pm busses still only travel FROM the parks TO Disney Springs. To get back to the parks from Disney Springs, guests will still have to travel to a resort and then catch a second bus to the theme parks. Walt Disney World is a huge property, and walking around the expansive theme parks already creates numerous leg pains and loads of foot blisters. Nevertheless, if you stay at a resort within walking distance of your destination, consider using your feet to avoid excessive waiting during peak season. Some deluxe resorts provide walking paths to Magic Kingdom, Hollywood Studios, Epcot’s International Gateway, and Disney Springs. Check your resort map or ask a cast member for more information. Not all parks close after a fireworks show, but most visitors seem to think they do. In particular, when Happily Ever After Nighttime Spectacular concludes, hordes of people rush towards the exit, despite the fact that Magic Kingdom remains open for an hour or more. It’s better to wait around for another hour and enjoy the theme park, because the multitudes will clog up bus, ferry, and monorail services. You’ll end up waiting an hour in any case, so why not wait on Splash Mountain instead of a monorail line? Don’t worry about missing your ride, because it runs up to an hour past closing. Those needing to leave right after an evening fireworks or light show should try viewing from a location close to the entrance if they want a quick departure. Some guests even watch from outside the gates. D.W. Noonan lives in Salisbury, Maryland, but calls Walt Disney World his second home. Years ago, he married his wife, Kathie, who introduced him to the imagination of Disney films and forced him to watch countless hours of everything from Steamboat Willie to The Lion King. With the birth of his three children, he found himself inexplicably drawn to vacationing at Walt Disney World every year and eventually making the trip to Disneyland. He'll even brave a Disney Cruise from time to time, even though he's not particularly fond of oceanic voyages. Noonan experienced his ultimate Disney dream when his two dancing daughters performed for Disney Performing Arts in 2015, but he also realizes that the best is yet to come.